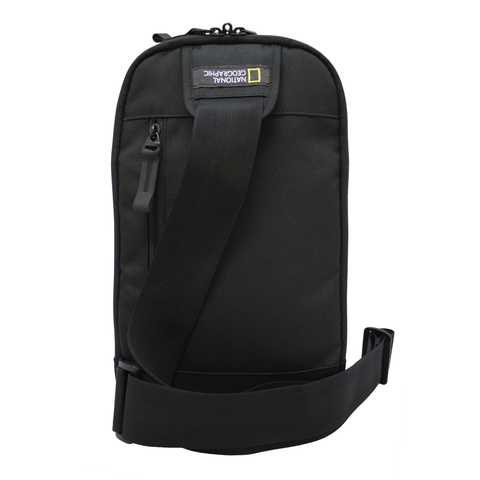 National Geographic Academy bags are youthful looking bags, made from polyester twill fabric, with contrast lining, and rubber patch National Geographic logo at the front. 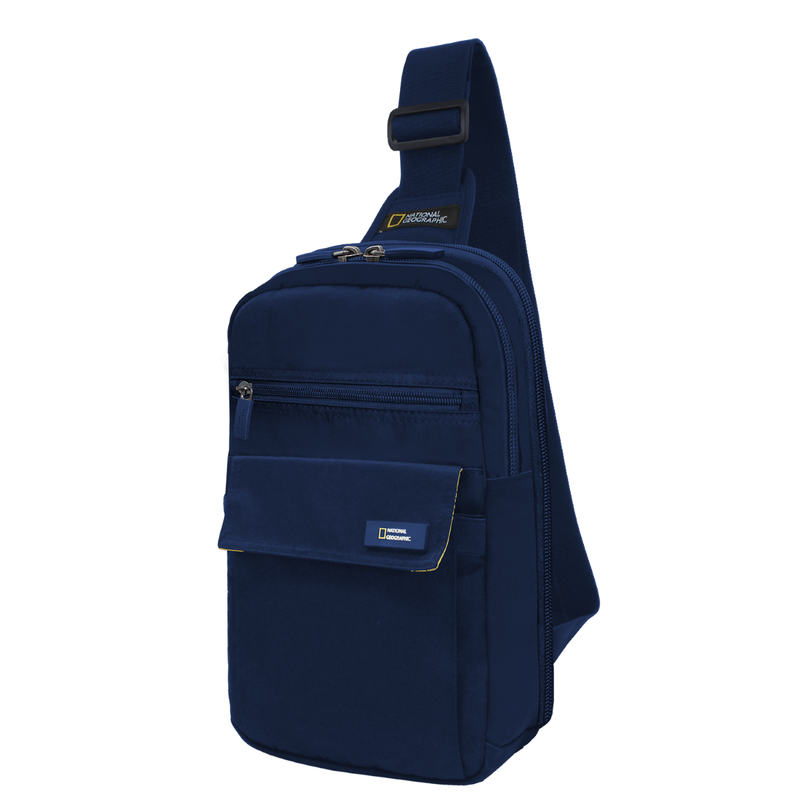 This sling bag is perfect for your personal daily usage to keep your tablet computer, mobile phone, documents, and belongings close to your body, with a RFID blocking pocket to protect your Paywave cards against digital theft, and a back zip pocket to protect your important documents or belongings. 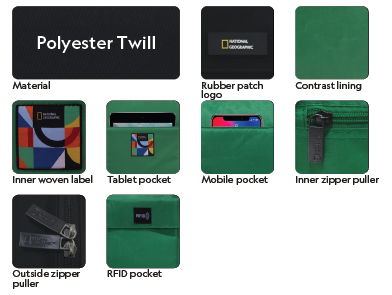 Black colour bags contrast with green lining. 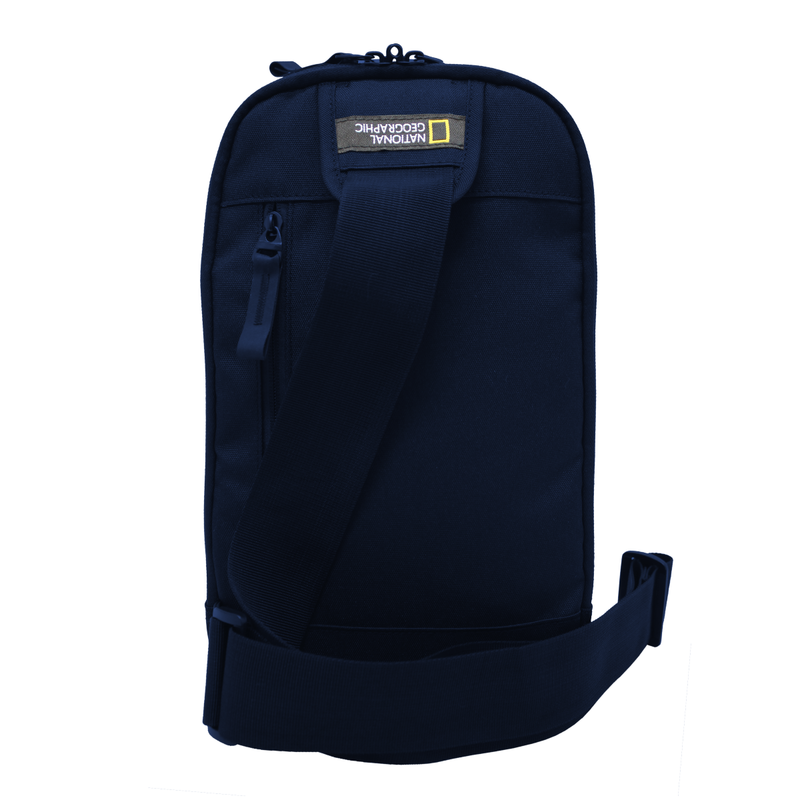 Navy colour bags contrast with yellow lining.